Bloom Association » What does the law say? Map of the area where exemptions for electric pulse trawlers are granted. Electric pulse fishing is forbidden by the European Commission since 1998. 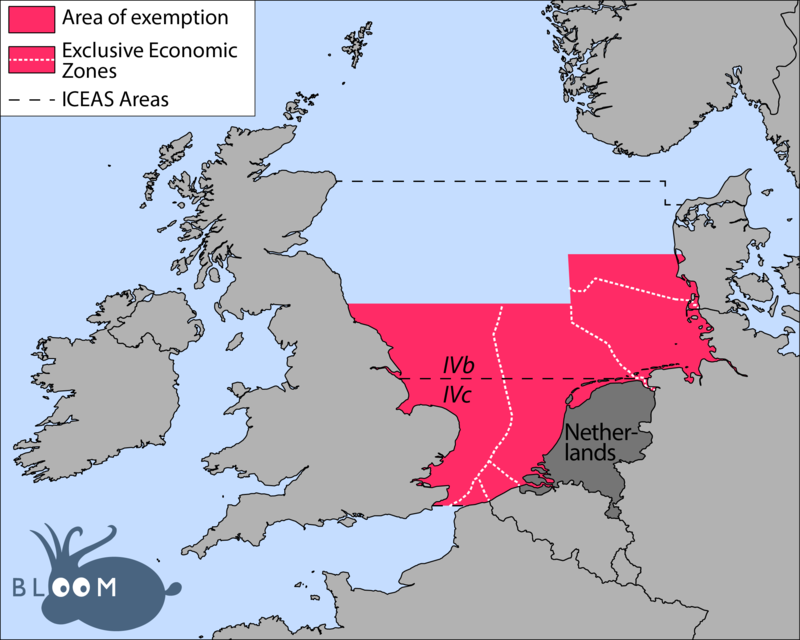 However, exemptions have been granted in the southern part of the North Sea since 2007. These exemptions have been set in the law in 2013. Theoretically, no more than 5% of each Member State’s beam trawl should have been equipped with electrodes. Yet, the Netherlands have granted many unlawful exemptions since the first Dutch trawl was equipped in 2009. According to the EU ‘Fleet Register‘, the Dutch beam trawls fleet (‘TBB’ gear code) consisted of 304 vessels as of September 20 2017. Thus, the Dutch authorities should have granted at most 15 exemptions in 2017. Instead, 84 vessels are now equipped with electric pulse trawl, which blatantly contravenes the European legislation. Beyond these Dutch vessels, other practice electric fishing. There are over a hundred vessels that use this fishing technique in the North Sea. In fact, British and German vessels also mostly belong to Dutch interests. The Netherlands justify their massive number of exemptions using scientific research and innovation arguments. However, as the International Council for the Exploration of the Sea (ICES) confirmed in 2016, a fishing technique that has been implemented in 2007 cannot be considered and labelled as a ‘pilot project’. Moreover, this clearly is a usual commercial activity, in which all catches are sold. Given the above, BLOOM filed a complaint to the European Commission against the Netherlands with regards to these unlawful exemptions on October 2 2017. French Green MEP Pascal Durand subsequently submitted a priority question the Commission to obtain a swift clarification of the situation with regards to the severe issues highlighted in our complaint. 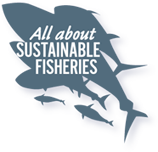 Both our complaint and Pascal Durand’s question occurred at a critical moment, as MEPs of the Committee on Fisheries (PECH Committee) were supposed to vote on October 8-9 2017 on a proposal from the European Commission. This proposal suggests to the European parliament and the Council to lift the ban on electric pulse fishing and to consider it as a conventional fishing technique. Following our complaint, the Dutch lobby however obtained the vote to be postponed to November 21 2017. Article 31a untitled “electric pulse fishing” introduced in Council Regulation 850/98 by Regulation (EU) N°227/2013 of the European Parliament and of the Council. Equivalent provisions existed since 2007 in the annual regulation on fishing opportunities (see Annex III, part A, 4° of Regulation (EC) N°41/2007 of the Council. LIFE Platform (2015) A shocking way to catch fish: electric pulse beam trawling.